Why spend money on a body scrub when you can make your own for just a few cents! Our 2 ingredient DIY Coconut Sugar Scrub will leave your skin looking and feeling soft and moisturized. It’s easy to whip up, smells amazing, and even makes a great gift or girls craft night project. Kids and teens love it too! Everybody loves having beautiful glowing skin! Now that it’s so cold out, my skin is dry and uncomfortable. I found that my regular lotions weren’t working well enough which was a sign that I really needed to exfoliate my skin. If you have dry and dull skin right now, this DIY coconut sugar scrub is for you! It’s so easy to make, you’ll wonder why you haven’t been making this for years. 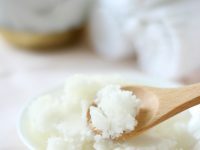 Everyone could use a little pampering every now and then, and I love having my homemade sugar scrub ready at my sink for a quick spa fix anytime I need it. It’s quite easy to mix up at home, and the scent of this one reminds me of Hawaii! 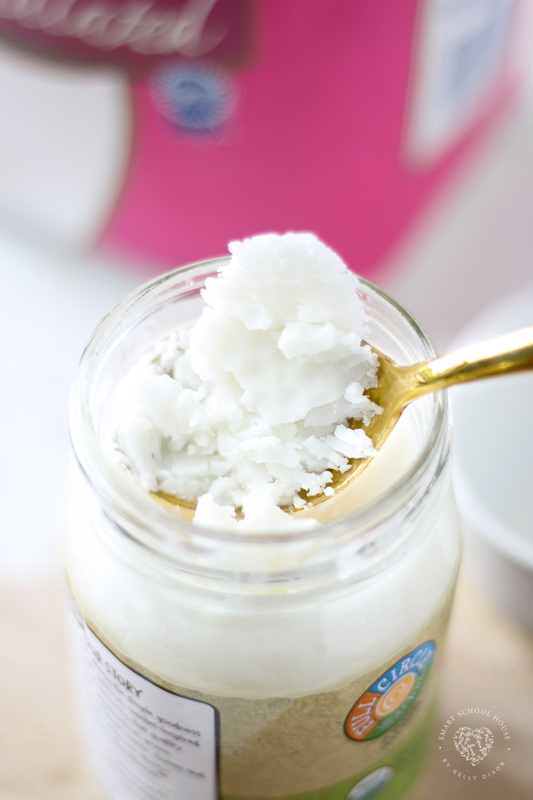 All you need are two simple ingredients: sugar and coconut oil! This recipe will make enough scrub for one or two uses, so for just a few dollars, you can make a lot of DIY scrub! Why buy it when you can make it for wayyy less? It would be neat to customize it by add fragrances or essential oils. I used refined coconut oil for this batch, which only has the slightest scent of coconut. If you use unrefined coconut oil, it will have a stronger coconut scent. Mix and match fragrances to make it how you like it! Either kind of coconut oil will moisturize your skin beautifully. 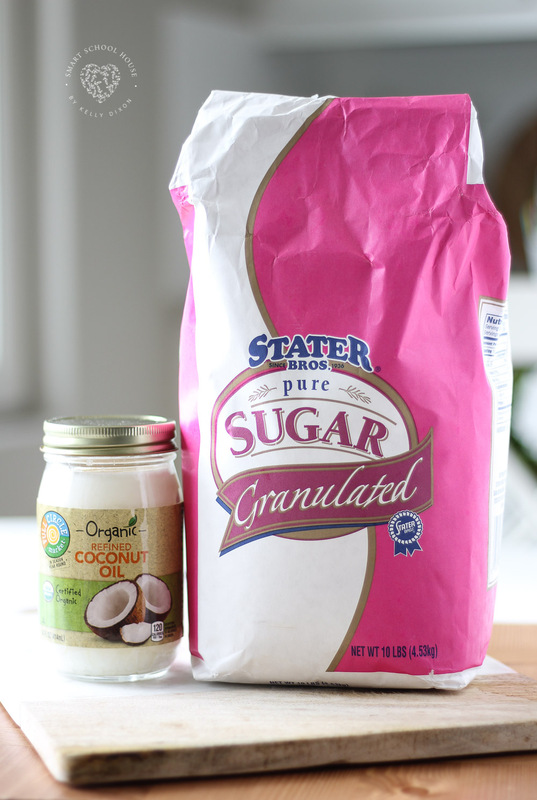 Keep it in the kitchen because, while the sugar is needed for baking, coconut oil is great for cooking! 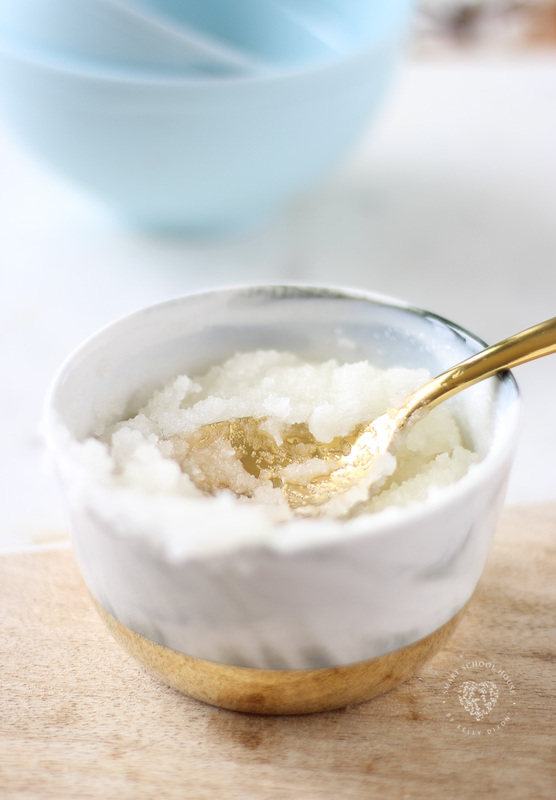 DIY Coconut Sugar Scrub is a decadent and beautiful sugar scrub made with coconut oil and white sugar. It will leave your skin smelling great but looking and feeling even better! Coconut Oil can moisturize dry skin. In addition to its effects on acne and inflammation, applying coconut oil to your skin can also help keep it hydrated. 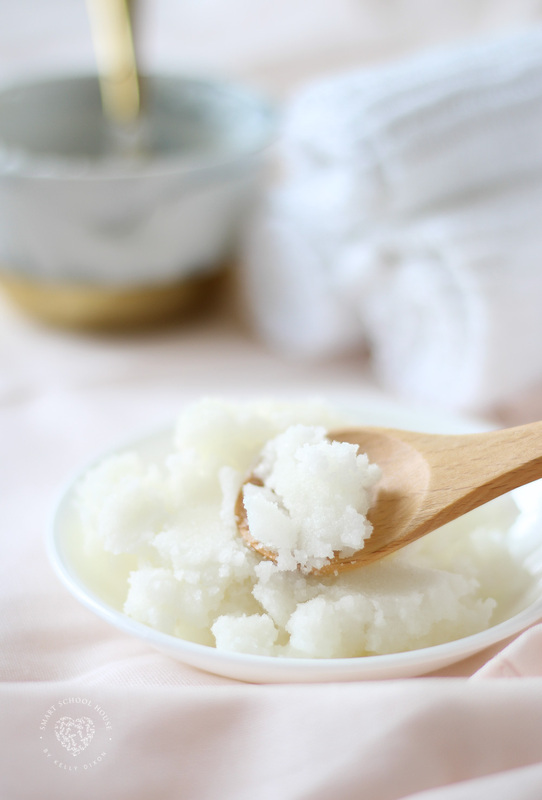 This homemade sugar scrub can be used on your hands, arms, legs, and even your lips! I LOOOOOOVE anything Coconut!! Thanks for sharing! Thank you for this super simple recipe! It is a nice add-in to a “Pamper Yourself” basket I am making for my kids’ teachers! Plus, I felt it easiest to mix the scrub using my hands, so I felt like I was getting a much-needed spa day myself. Hope you’ll visit my blog some time for inspiration on parenting, mindfulness and everything in-between: http://www.writtenbycandicewagener.blogspot.com.